For you bigfoot art collectors out there, here's an artist you may not have heard of. 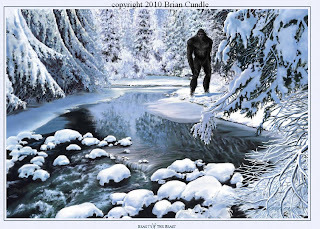 Brian Cundle creates bigfoot art in the digital medium, and his gig is usually to depict what possible sasquatch encounters looked like. 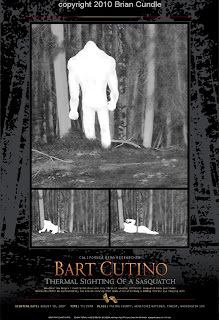 The artist came to my attention through my friend Bart Cutino. 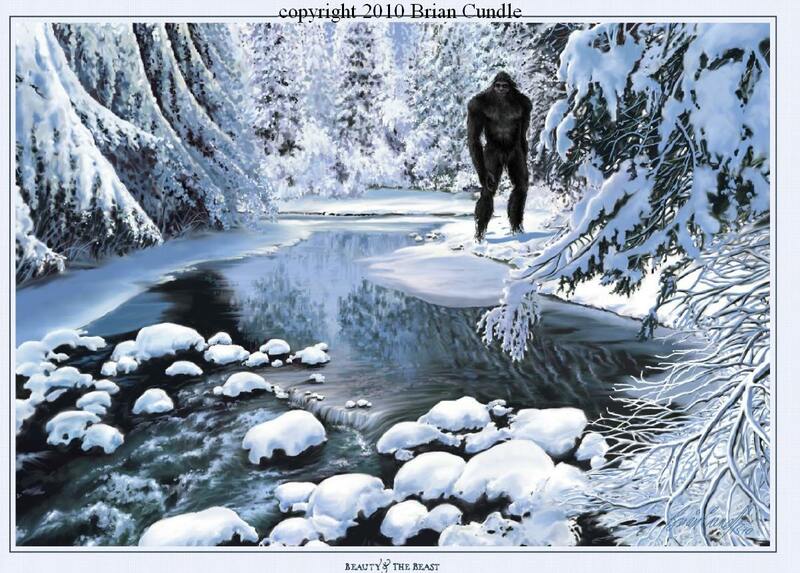 Bart, an avid bigfoot art collector, found Mr. Cundle's art on Ebay, and was very impressed with it. 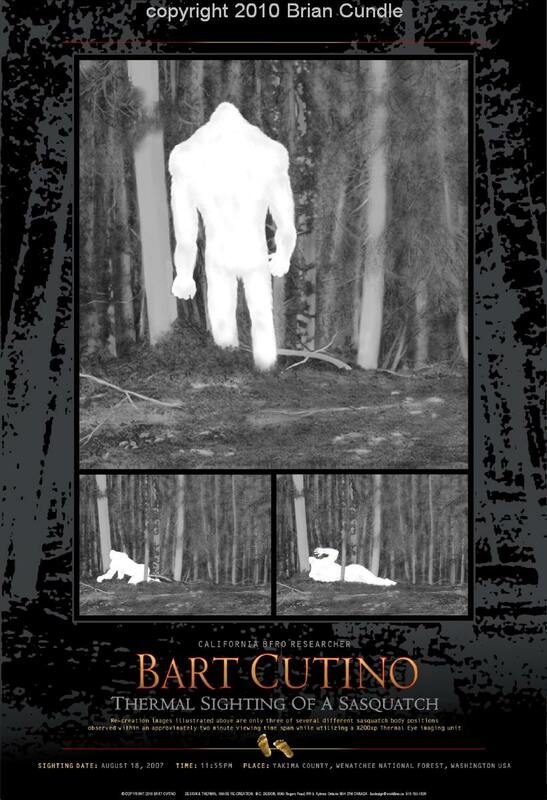 In fact, he was impressed enough to contact Mr. Cundle to commission a custom art piece depicting his own sighting through a thermal imager from August of 2007. Mr. Cundle is obviously a very talented graphic artist. 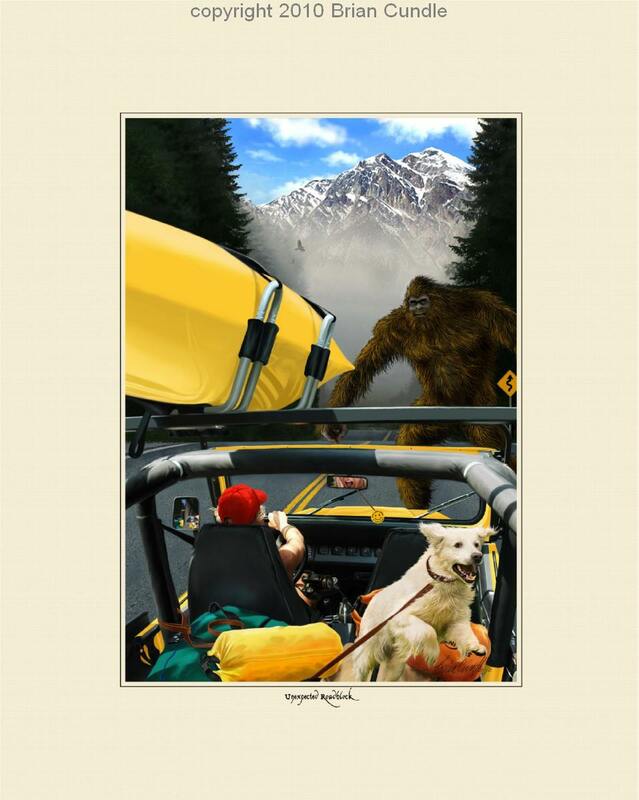 I encourage everyone to support the arts, and especially the bigfooty arts. Go to Ebay and use their search function near the top of the page. Entering Mr. Cundle's name into the search feature did not produce his art, but searching for "bigfoot art" did. 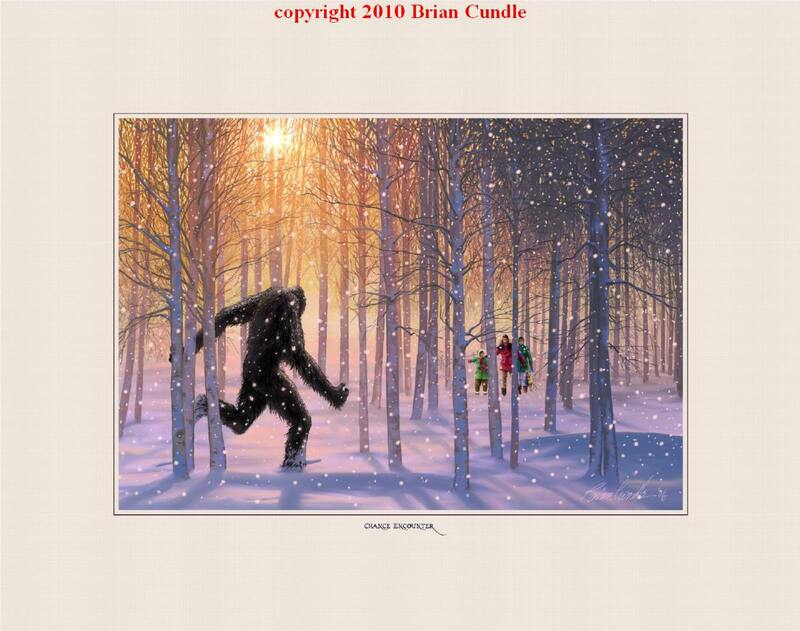 In the meantime, enjoy some of Mr. Cundle's other work. 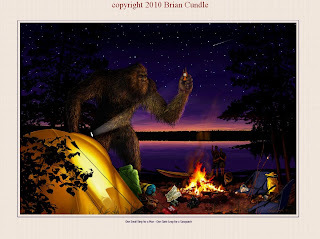 "One Small Step for Man, One Giant Leap for a Sasquatch"
Great find, very cool stuff! I love the Beauty and the Beast one!